or take a break and enjoy lunch in the historic village of Stamford. 2515 Tower Mountain Road, Stamford, NY 12167. Pass a pond on the right and look for a small opening into a large field on the right. ​John Michelotti is the founder and devotee of Catskill Fungi whose mission is to empower people with fungi though outdoor educational mushroom classes, cultivation courses, mushroom art, and mushroom health supplements which he produces from mushrooms foraged and grown on and around his family farm in the Catskill Mountains. John is a Former President of the Mid-Hudson Mycological Association (MHMA) and has presented at the Telluride Mushroom Festival, Northeastern Mycological Association Foray, as well as the New York Botanical Gardens. He served on the Mushroom Advisory Panel for Certified Naturally Grown to develop ecological standards in mushroom production. His goal is to educate and inspire people to pair with fungi to improve health, communities, and the environment. Did you know there are more species of fungi than plants and animals Mushroom Walk: Did you know there are more species of fungi than plants and animals combined? 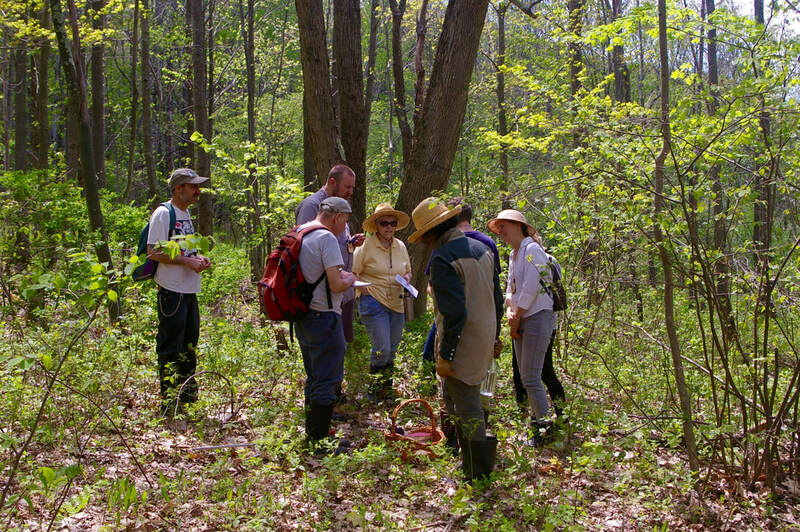 Join us on a mushroom walk and learn about the characteristics and ecological functions of fungi. 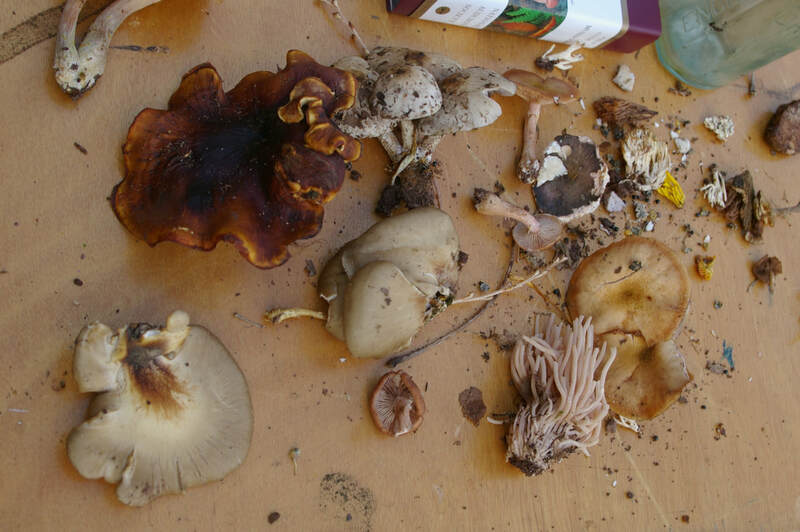 Find some common edibles and medicinal mushrooms and find out about their historic uses and present day innovations. ​See you in the woods. Learn 3 ways to cultivate edible and medicinal mushrooms indoors and outdoors and go home with your own oyster grow kit to grow on your kitchen counter. Learn about ways to incorporate mushrooms into your landscape or garden to improve soil health while providing tasty food. We will drill holes in logs, fill them with mushroom spawn, and seal them with wax. In one year they will fruit mushrooms. You will learn what types of wood are viable, sources for mushroom spawn, how to take care of your log, fruiting mushrooms, harvesting, and pest control. Take a log home and grow mushrooms outdoors.